The blackthorn is in flower, the skylarks have started singing and Spring has sprung at the Lobster Hatchery. The first berried hens (pregnant females) of the season are starting to arrive from our friendly fishermen, hopefully it’s the start of another bumper year!! 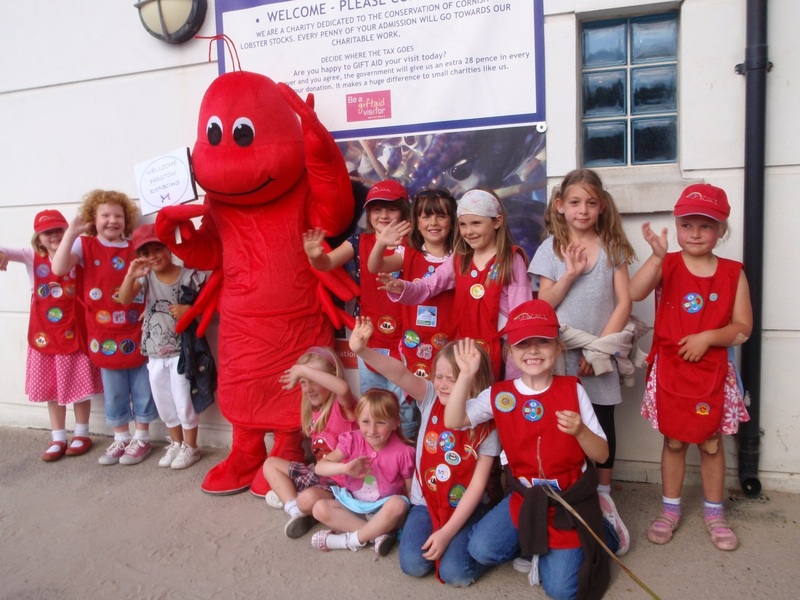 Alison has been very busy in the education department with primary school groups visiting the hatchery to learn about lobsters and explore the importance of the fishing industry on the town of Padstow. Alison also had a brilliant time at the ‘Farm & Country Days’ organised by the Royal Cornwall Agricultural Association. With over 1,500 children, from over 60 schools across Cornwall, attending to learn about where their food comes from, there was only just time for a lunchtime pasty between groups! The little lobsters that went to the event even got to meet Royalty; The Countess of Wessex, who was visiting as Patron of the Royal Cornwall Agricultural Association. The Countess even adopted a family of lobsters, so we hope she’ll keep an eye on the website; www.nationallobsterhatchery.co.uk, to see where, when and how her baby lobsters are released back into the sea in about 3 months time.